What Is Considered a Straw Purchase? On a June day in 2009, Milwaukee officers Bryan Norberg and Graham Kunisch were patrolling when they noticed a young man riding his bike on the sidewalk. Police officers are trained to prepare for the worst, but still, it would have been tough to anticipate a simple stop would turn into a nightmare. The young man, Julius Burton, resisted arrest and then shot both officers in the face. While the officers survived, they faced extensive medical treatments and lengthy recoveries. Norberg was able to remain with the department, but Kunisch’s injuries forced him to retire. 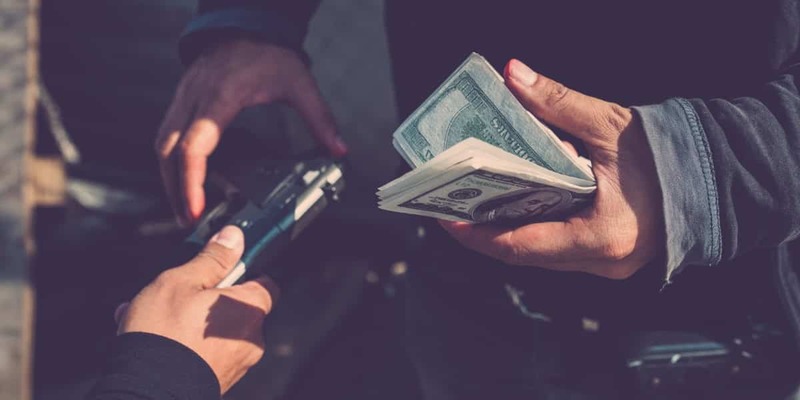 This is called a straw purchase, and stores or suppliers who should reasonably recognize the signs of these illegal transactions can be held liable for injuries that occur through its use. Just as in the case of Julius Burton, a straw purchase occurs when Party 1 requests that Party 2 buy him a firearm. Party 1 may have a criminal background which prohibits him from owning a gun, he may be underage, or he may not want his name attached to Federal Form 4473, which accompanies every legal purchase from a federally licensed firearm dealer. As you can see, the form asks you to affirm that you are the actual buyer (or transferee) of the firearm. In the Burton case, the older man completing the straw sale checked “No.” Incredibly, the store clerk advised him to change his answer to “Yes,” so the sale could proceed. On the consumer side, it is illegal to answer “Yes” when you intend to give or sell the gun to another party. This is a federal felony, and the party could receive up to five years in prison and a $5000 fine. If the party who purchased the gun had knowledge or reason to believe that the person he was buying it for was a felon, prohibited from owning guns, or was going to use it in the commission of a crime, this, too, is a felony punishable by up to 10 years in jail and 10,000 in fines. If a crime is committed with the firearm, the individual (e.g., Julius Burton), the person who bought the firearm, and the store itself can all be held liable. According to the Bureau of Alcohol, Tobacco, Firearms, and Explosives, about half of all illegally trafficked firearms started as straw purchases. In 2016, a woman entered a Cabela’s store in Wilmington and purchased a gun and bullets. She checked “Yes” on the federally required form and the transaction proceeded. Her boyfriend was a convicted felon and was not allowed to purchase firearms. Later, the gun ended up in the possession of two underage individuals. That gun killed Keshall (“KeKe”) Anderson, who at the time, had a six month old baby. She was walking down the street and was hit multiple times as she was caught in a crossfire of bullets. KeKe’s family has filed suit, alleging “that if Cabela’s had done what it was supposed to do, KeKe’s killers would not have had a gun and KeKe would be alive today.” They contend that the woman who purchased the gun was acting “erratically” in the store and kept in constant communication with her boyfriend via text and phone calls. She provided a fake address on the form. The family’s lawyers argue that Cabela’s should have known a straw sale was occurring. Straw sales can fall under negligent entrustment laws. What is this concept? Say you allow your friend, who you know has a few DUI convictions and a car accidents on his record, to borrow your car. He then causes an accident. You can be held liable for his actions because you were negligent in letting him use your vehicle. Now, gun stores are typically immune from negligence claims if a gun they sold – legally – is used to commit a crime. However, when stores complete transactions to people legally prohibited from owning them, they can be held liable. They need to be able to recognize the signs of a straw purchase and deny the sale. In the case of Julius Burton, for example, the store should have known and refused the sale because the person checked “No” when asked if he was the actual buyer (among other reasons). In other cases, people act erratically or it is obvious that another person is the driving force behind the sale. Again, most firearms dealers are vigilant and take their responsibility seriously. For those that don’t, however, the full weight of the law can, and should, come down on them. A jury, for example, found the store at which Julius Burton instigated the straw sale liable and ordered them to pay Officers Norberg and Kunisch $6 million in damages. If you or a loved one was injured by someone involved in a straw purchase, it is imperative that you contact an experienced attorney immediately. While the law is on your side, it is challenging and complex with issues regarding liability at play. 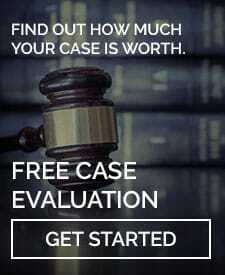 Contact LaBovick Law Group for help today.